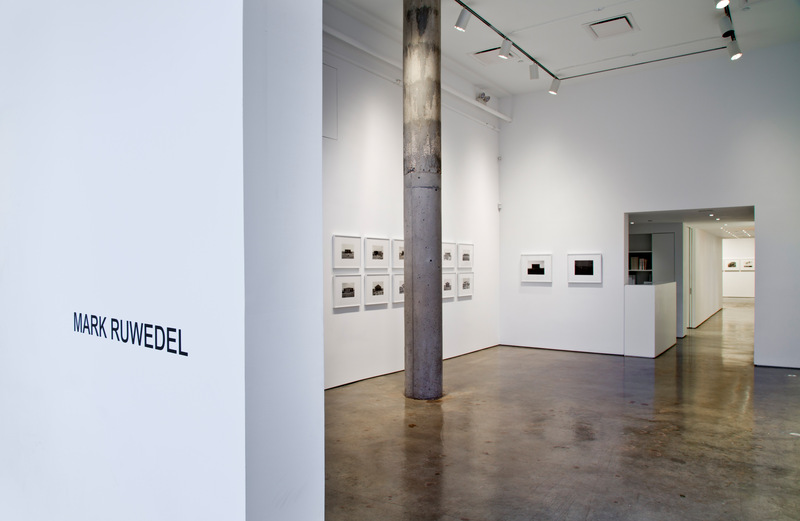 Yossi Milo Gallery is pleased to announce Records , an exhibition of black and white photographs by Mark Ruwedel. Records will open on Thursday, March 1, and will close on Saturday, April 7, with a reception for the artist on March 1 from 6:00 to 8:00PM. This is Ruwedel’s second solo exhibition with the Gallery, which presented his first New York show, Westward the Course of Empire , in 2009. The exhibition will present the artist’s recent projects in the western United States, focusing on the collision of promise and reality. The photographs, primarily of homes and landscapes, were made in the desert regions surrounding Los Angeles, from the western Mojave Desert to the Salton Sea region, as well as in Utah and on a small island in British Columbia. The series Desert Houses shows houses in various states of abandonment and decay, suggesting both violence and tragedy. The diptychs in Neighbors , a subset of Desert Houses , pair houses that are seemingly identical but were photographed in different locations. In Splitting , which references Gordon Matta-Clark’s iconic work, Ruwedel’s diptych is of two abandoned, sliced open homes found in different, remote locations in California. Dusk was photographed after the sun disappeared over the horizon, creating subtle, dark tones that parallel the houses’ social and geographical isolation. 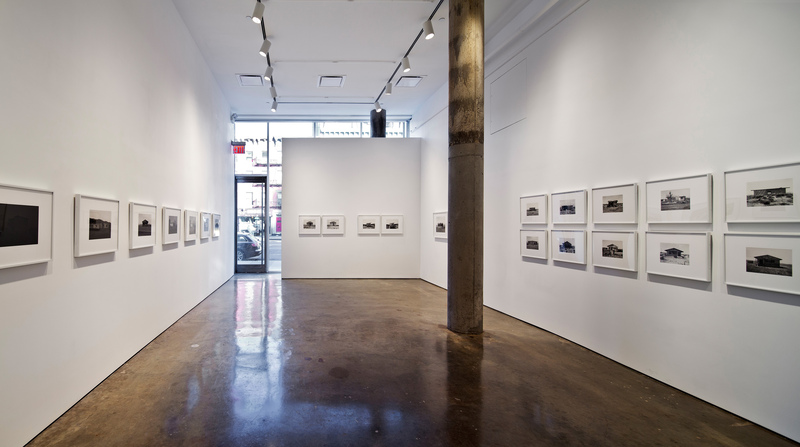 In addition to houses, the artist photographs landscapes that highlight this tension between promise and reality. Bomb Craters is a selection of photographs of the salt flats of the Wendover Air Force Base in Nevada and Utah where the military dropped explosives in training, creating unintentional earthworks. 1212 Palms is a set of nine black and white photographs of locations in the California deserts named for a certain number of palm trees. From “Una Palma” to “Thousand Palms Oasis”, the nine names add up to one thousand two hundred and twelve, although the number of trees depicted does not. 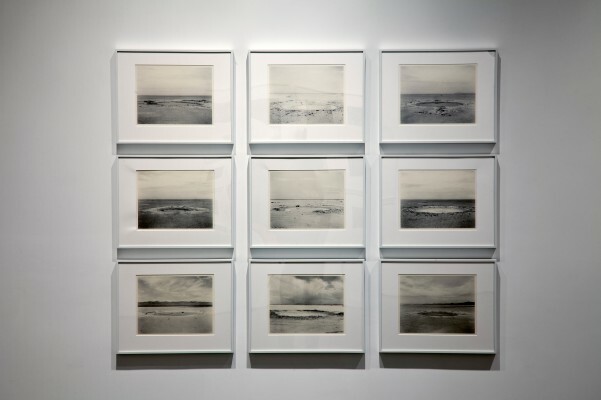 Bridging the gap between houses and landscapes, the series Records was taken nearby the abandoned homes photographed by the artist, and depicts old LPs Ruwedel found littering the desert landscape. 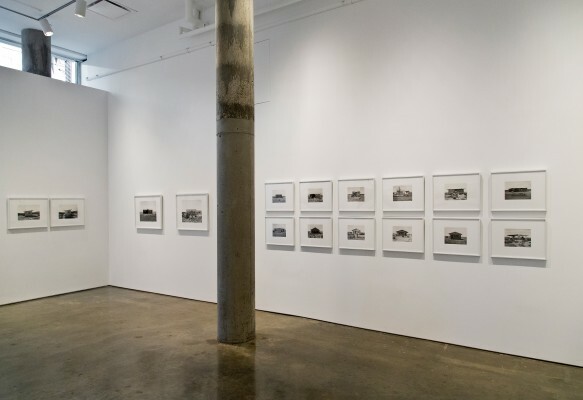 The artist sees them as ruined versions of the pristine LPs captured in Ed Ruscha’s book, Records , and as relics of the lives that once inhabited the area. 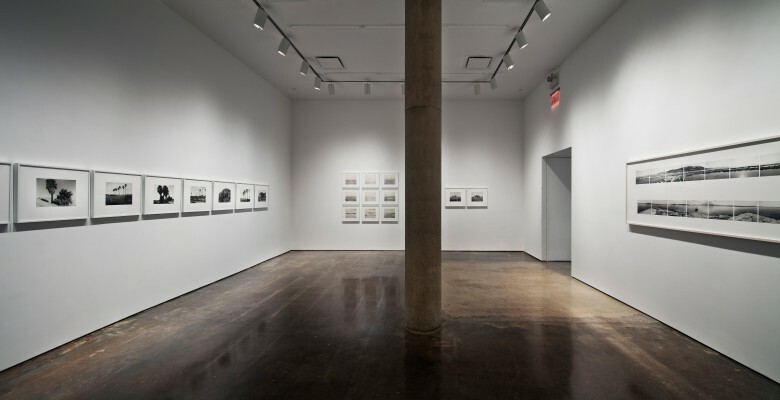 In a singular piece related to the above works, Built/Not Built: The Smithson Panoramas , 2010, combines two, 360- degree panoramas. One was taken from the center of Robert Smithson's Spiral Jetty . The other panorama is from the center of Miami Islet, a tiny island off the coast of Vancouver Island, which was to be the site of a work by Smithson entitled, Island of Broken Glass . Smithson’s idea was to cover the island with a mass of broken glass, but the project was halted in 1970 by a government reversal at the last minute. The Spiral Jetty was built soon after. 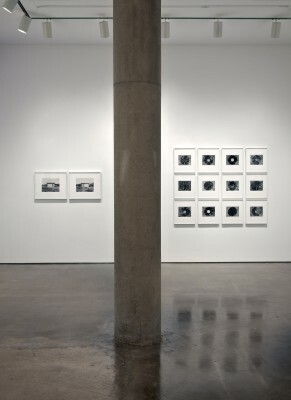 Mark Ruwedel was born in Bethlehem, Pennsylvania in 1954. 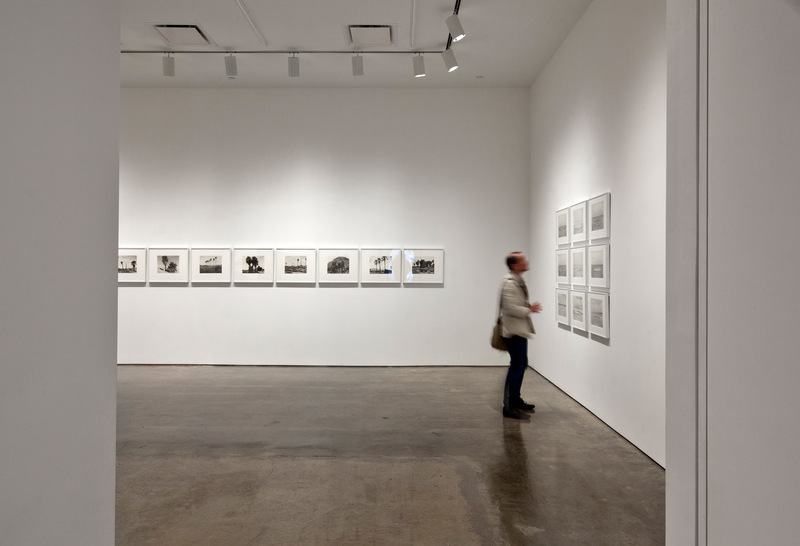 His photographs are held in numerous collections, including Tate Modern, London; National Gallery of Art, Washington, D.C.; Yale University Art Gallery; The J. Paul Getty Museum, Los Angeles; Los Angeles County Museum of Art; U.S. Library of Congress, Washington, DC; Fonds Nationale d’Art Contemporain, Paris; Metropolitan Museum of Art, New York; San Francisco Museum of Modern Art; National Gallery of Canada, Ottawa; and the Stedelijk Museum, Amsterdam. The books Westward the Course of Empire and One Thousand Two Hundred Twelve Palms (1212 Palms) were published by Yale University Art Gallery.